Owing to the efforts of our skilled professionals, we have been constantly engaged in offering a qualitative assortment of Tablet PC. 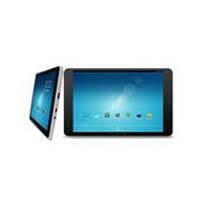 Our offered VCARE Tablet PC (MT-A785) is assembled using high-quality components with the help of modern technology by our dexterous professionals. The offered Tab is acknowledged for features like innovative functional richness, user-friendly interface, and voice quality, elegant and stylish design. We can also offer these products to clients at reasonable prices.